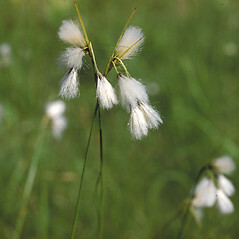 Slender cottonsedge is a circumboreal species that inhabits bogs, fens and meadows in all New England states; it is listed as threatened in Massachusetts and Rhode Island. 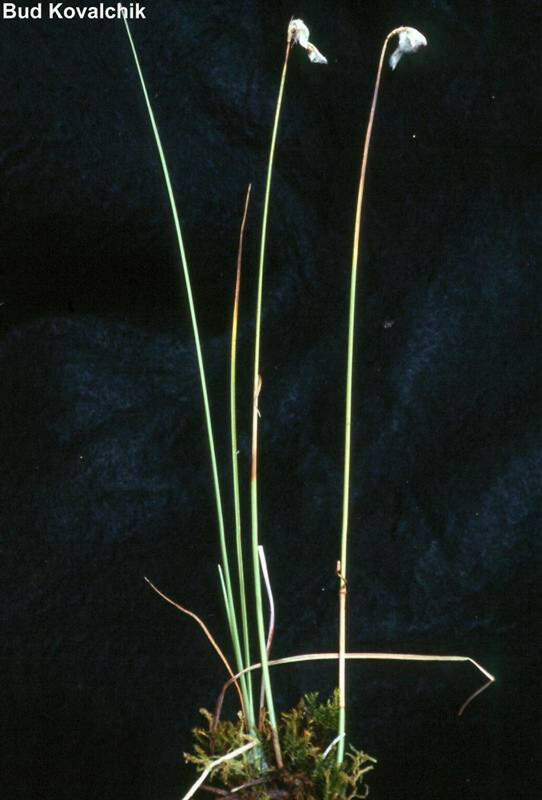 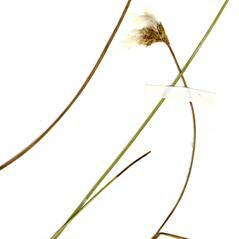 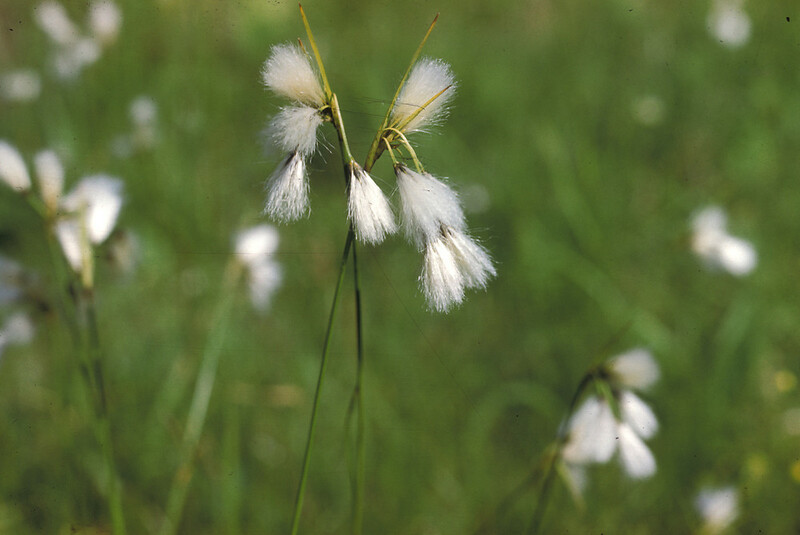 This is a slender cottonsedge, growing 8 to 24 inches tall, with very narrow leaf blades. 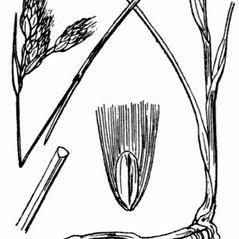 One leaf (bract) subtends the small, white, cottony spikelet -- it is shorter than the inflorescence and sometimes black at its base. 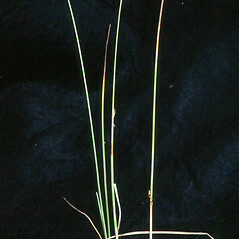 This characteristic helps distinguish this species from other cottonsedges. 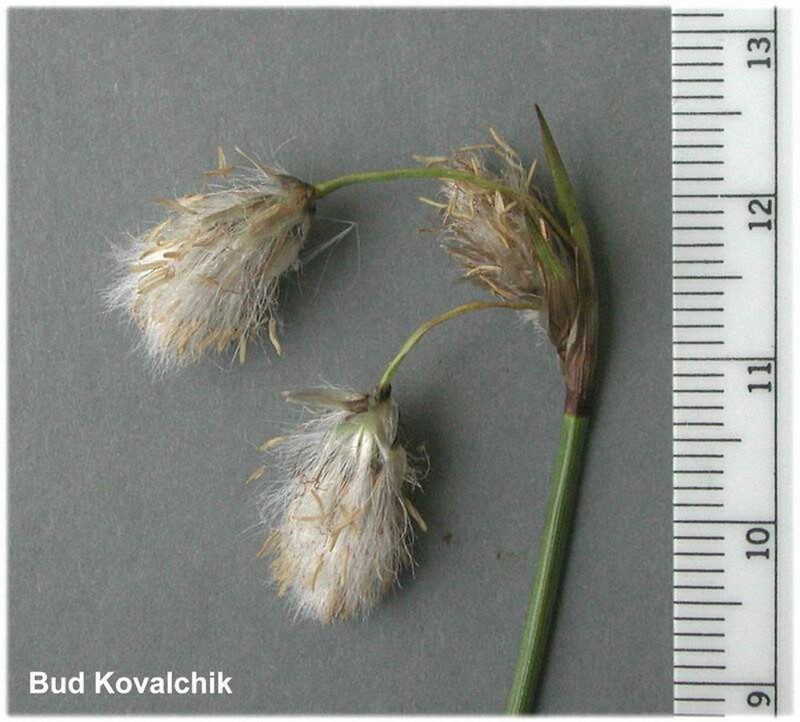 Because most of the wetlands this species inhabits get their water solely from groundwater, slender cottonsedge can be harmed by alterations to the hydrology. 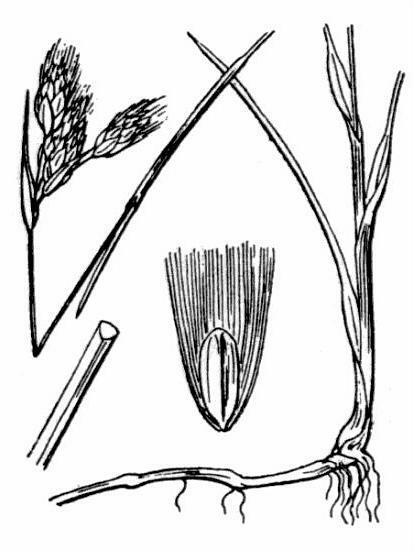 uppermost leaf blade 3–25 cm long, as long or longer than its associated sheath, and apical portion of stem and peduncles scabrous (vs. E. gracile, with the uppermost leaf blade 1–4 cm long, shorter than its sheath, and apical portion of stems and peduncles not scabrous). 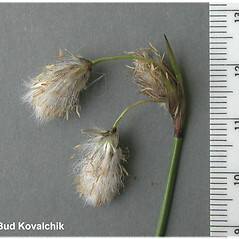 slender cottonsedge. 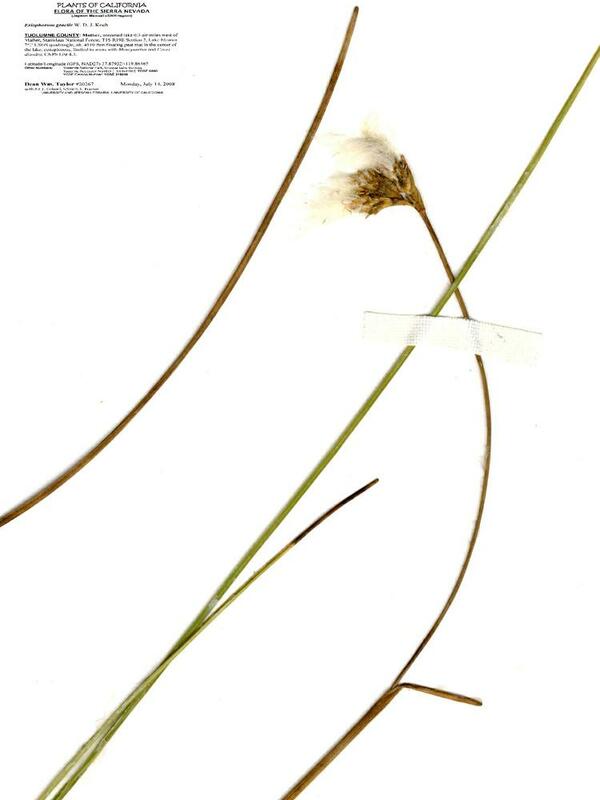 CT, MA, ME, NH, RI, VT. Bogs, acidic fens, meadows.